CoreSource, Ingram's digital asset management and distribution platform serving the publishing industry, has announced the addition of the CoreSource Plus Audio service, incorporating distribution to a growing selection of audio retailers, including Kobo, one of the world's largest eBookstores with millions of titles across 77 languages. CoreSource publisher clients can now take advantage of the CoreSource Plus programme to distribute and create revenue streams for audiobooks more easily. Marcus Woodburn, Ingram's vice president for Digital Services, said: "The audiobook distribution network is changing rapidly for publishers and channel partners. CoreSource Plus now provides a comprehensive service that allows any publisher to take advantage of the future of audiobook distribution, making it easier to reach Ingram's global network of audio distribution channel partners. 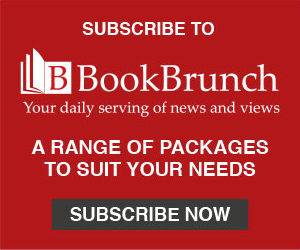 Through our growing selection of audio retailers, access to audiobooks just got easier for readers, and the audio book business is now more exciting for publishers." CoreSource Plus publisher clients also have access to millions of readers and public library users through suppliers such as Libro.fm, Hoopla and OverDrive in the CoreSource Plus Audio network. Designed to help publishers realise the full potential of digital content distribution, CoreSource provides a single point to submit digital content and metadata, allowing files to move swiftly and safely to any of the over 450 business partners.